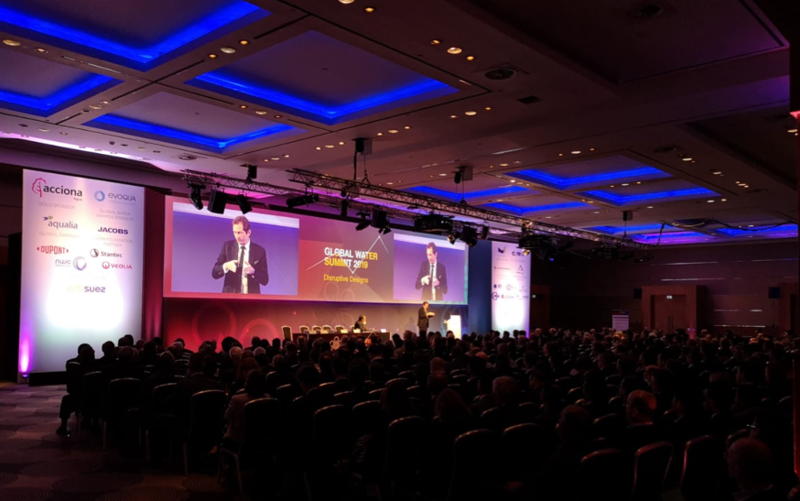 Underneath the Lovely London Sky | Global Water Summit 2019 - Innovative Solutions for Wastewater Treatment | Organica Water Inc.
Organica Water took the underground to attend the Global Water Summit 2019 in London, UK. The event took place from April 8th – April 10th. Organica Water COO, Akhil Barar and Senior Sales Director of the Strategic Projects Group (SPG), Alejandro Roman attended on behalf of the company. Organica participated in a 90-minute session under the title ‘How to halve the cost of wastewater treatment’. This event usually has 500+ C-suite attendees from around the world. The event was hosted by Isle, an independent technology and innovation consultancy. Their team is highly skilled engineers and scientists with extensive and diverse consulting expertise. The session was broken into three parts (collection, treatment and bioresources) and involved the showcasing of 20+ innovative and ground-breaking technologies. Also, in attendance was a panel of international utility executives on the stage who served commentary on the technologies. Organica Water thanks Isle and The Global Water Intelligence Summit for this opportunity! Check out the video that played during Organica’s presentation!